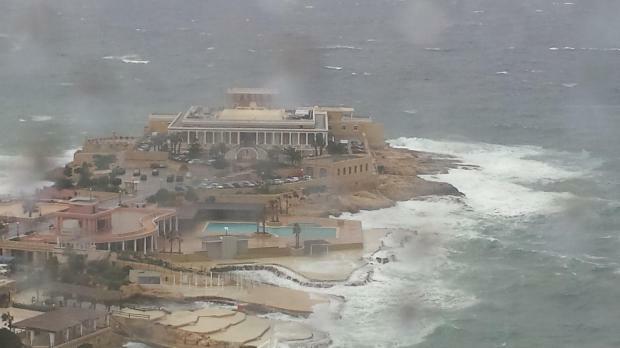 Updated - A heavy thunderstorm last night damaged the chapel at the top of Dingli Cliffs and caused flooding in some low-lying areas such as Msida. 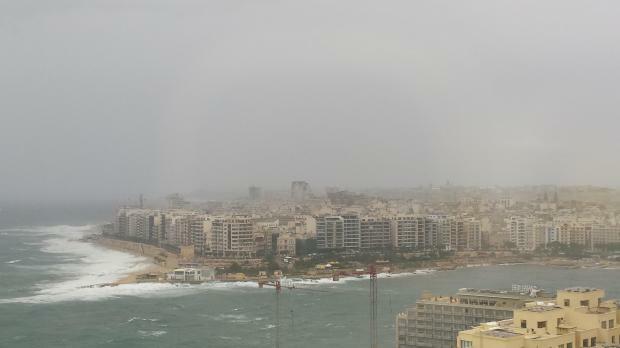 Hail was reported at Zebbug and Siggiewi while Gozo and some localities in the North of Malta suffered power cuts. 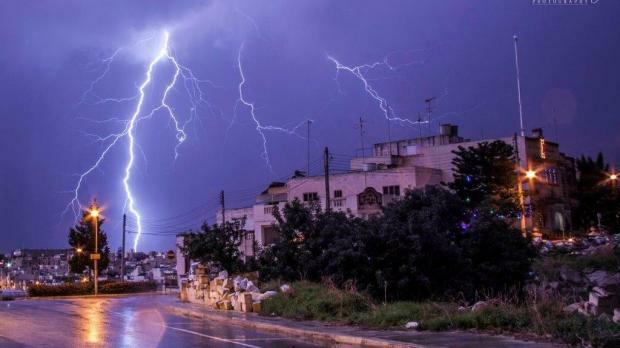 A small chapel at the highest point of Dingli Cliffs was extensively damaged when it was struck by lightning. 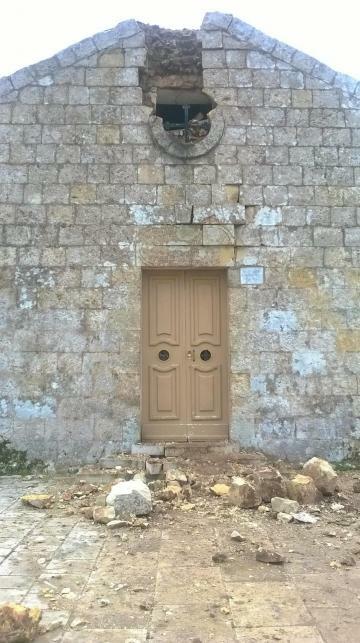 The chapel, dedicated to St Mary Magdalene and known as il-kappella tal-rdum, was restored four years ago. Significant damage was caused to the top of its façade, where the lightning struck. The force of the strike sent stone debris flying into the altar, damaging the altar painting. The chapel was similarly struck by lightning 38 years ago.